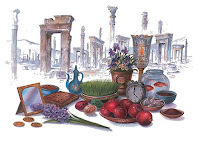 We celebrate this ancient celebration of our ancestors in the hope that it will be a start for the celebration of light and freedom in Iran and the end of the darkness and gloom of Vilayat-e-Faqih obscurantists in our pure country, Iran. 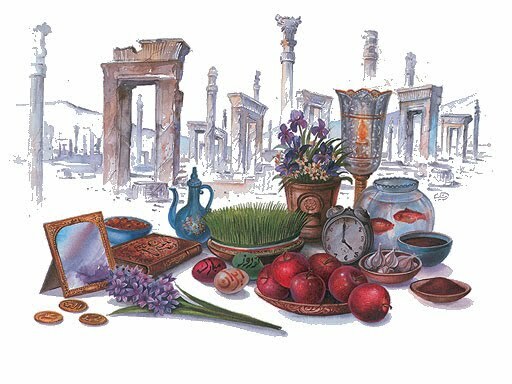 But this year Nowrooz in Iran is not like last years. It is opportune to share our happiness with the families of political and ideological prisoners and of all victims of freedom. Let’s band and tie our hearts together and prepare ourselves for a new combat against the reactionist and the petrified of Vilayet-e-Faqih and promise not to be silent until achieve Iran’s freedom. Oh, compatriot; let’s pray for releasing all prisoners of Iran at the beginning of New Year.